The latest addition to the wide range of high-end dog buggies from InnoPet. This chic Urban Gold Buggy is lightweight at a nett weight of 7,7kg. When it comes to pet strollers the Urban buggy is top of its game for quality, design and convenience. The ultra light anodized frame folds up in a smooth one handed maneuver. It features all round wheel suspension plus front wheel locking swivel wheel if you out for a run with your best friend. Light weight aluminum frame - Luxury brown leather-like grip on the push rod for more comfort . Lightweight durable EFA wheels. Front wheels 8, "rear wheels 10"
The fabric can be cleaned (hand washing only). 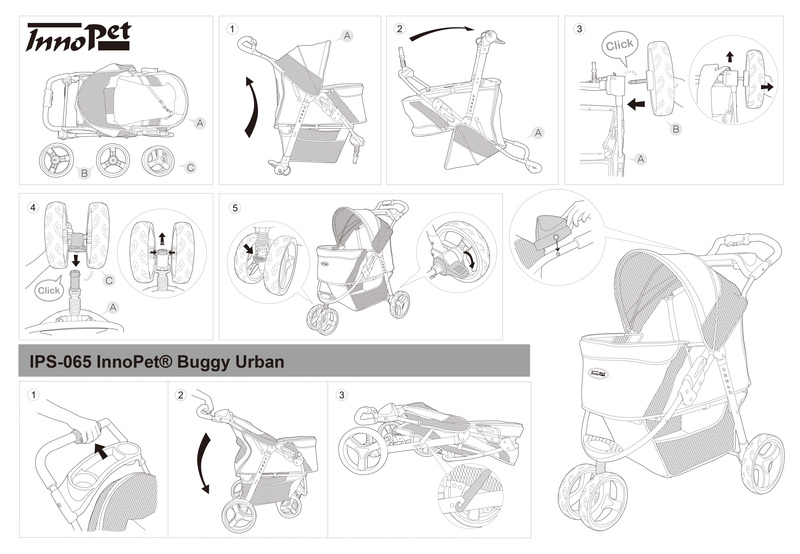 Please note the Urban Luxury Gold Buggy Pet Stroller takes 3-5 working days to arrive at your door in the UK or EU. Free Shipping to the UK!